In yesterday's update (See: SPX Update: Time to Sell the Bounce? 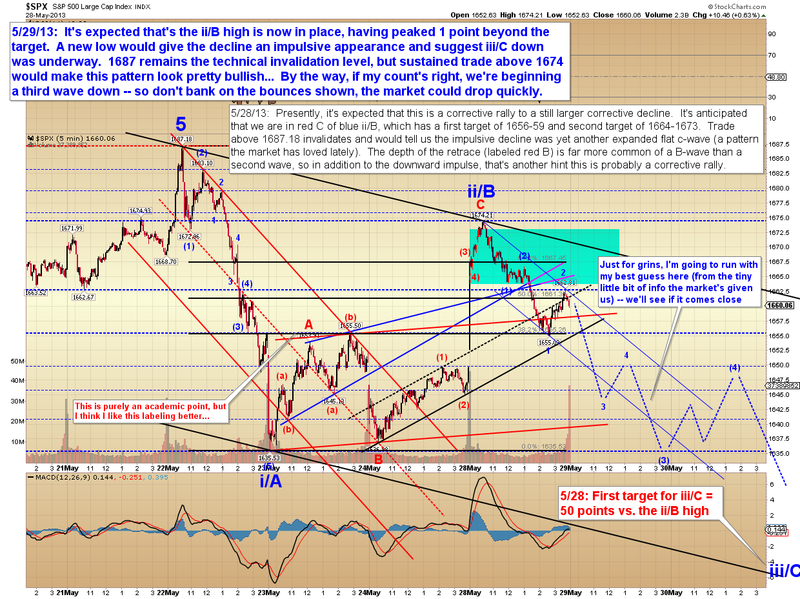 ), I outlined why I believed the rally was a snap-back correction to the prior decline, and the corrective wave appears to have peaked 1 point past my target. As a result of now knowing the (assumed) peak, today I'm able to provide some additional detail on targets. There's also a fractal I've had in mind since last Thursday's close, and I'd like to share it now because it's played out very well so far. 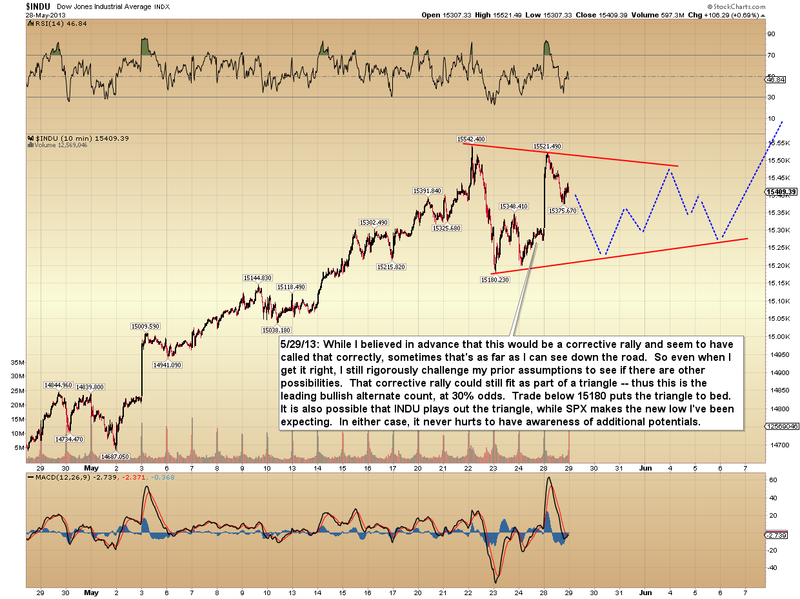 Maybe not coincidentally, this fractal is from roughly a year ago in April/May of 2012. Compare that with the current market below. 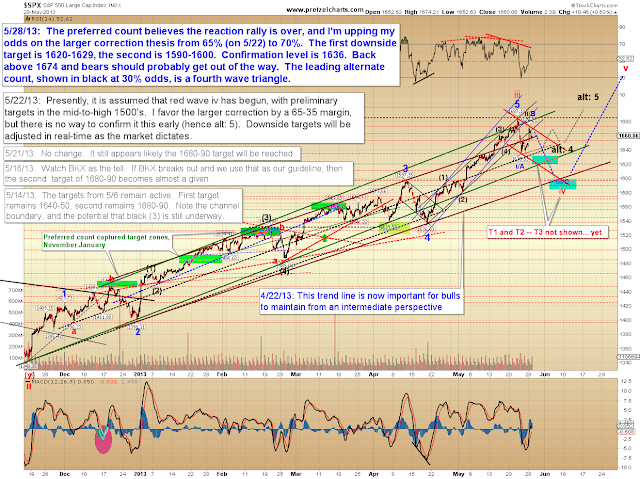 Note the near-term wave count I've detailed is very aggressive and may or may not come to pass -- there really isn't enough info in the chart yet to have a good handle on the short-term structure. 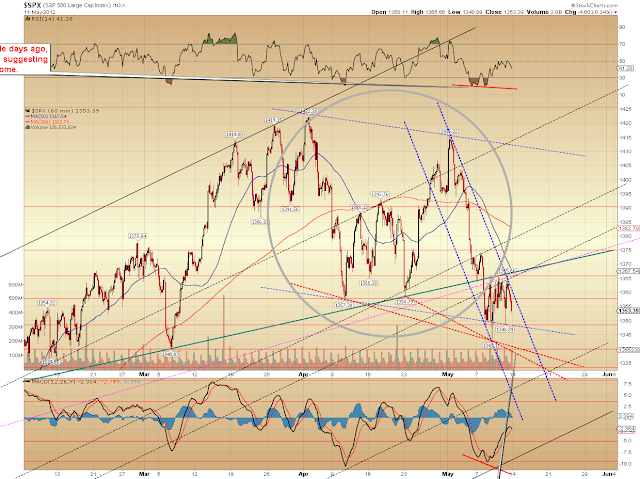 Whether the near-term play out as shown or not doesn't alter my intermediate projection for a first target of 1620-1629 (see hourly chart). I'd also like to add an indicator chart to my arguments for new lows, mostly for readers to benefit from in the sense of future reference. The hourly wave count is unchanged. 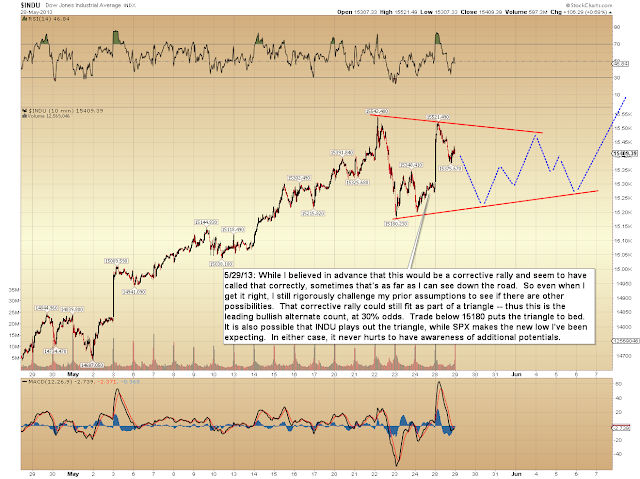 I'm giving the leading alternate count 30% odds and have shown it in detail on the Dow Jones Industrials (INDU) chart which follows afterwards. 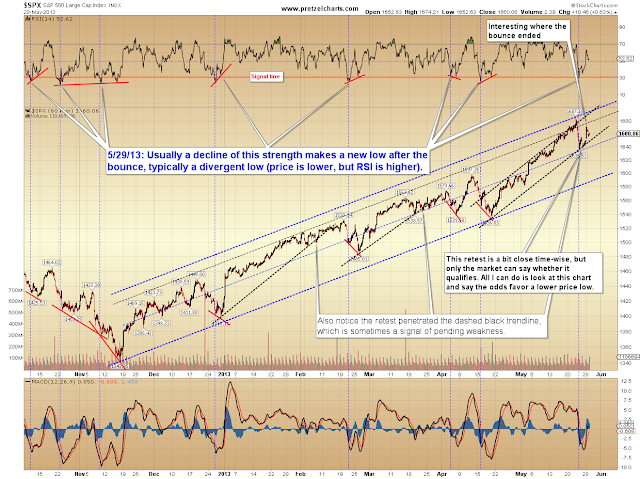 Bears should probably get out of the way if SPX can reclaim 1674 in the near future. 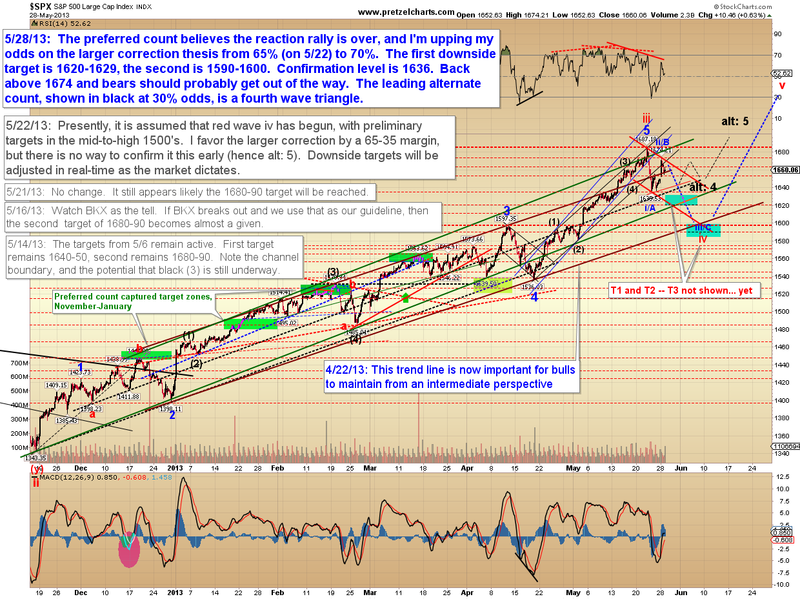 In conclusion, near-term I expect lower prices; intermediate term I expect SPX to reach a first target of 1620-1629. 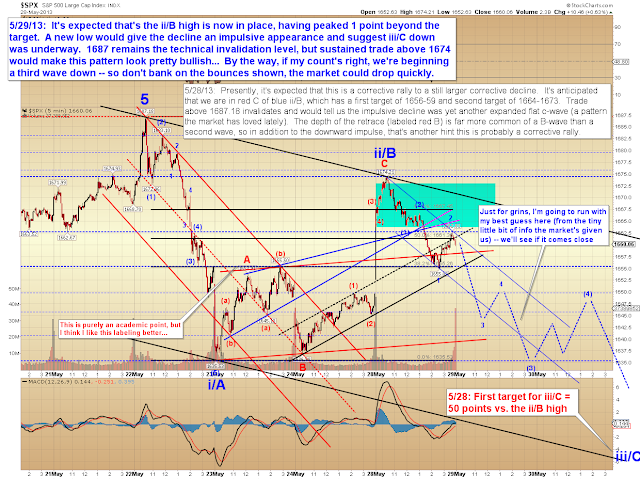 Assuming that's reached, we'll see how things look for the second target zone and beyond. 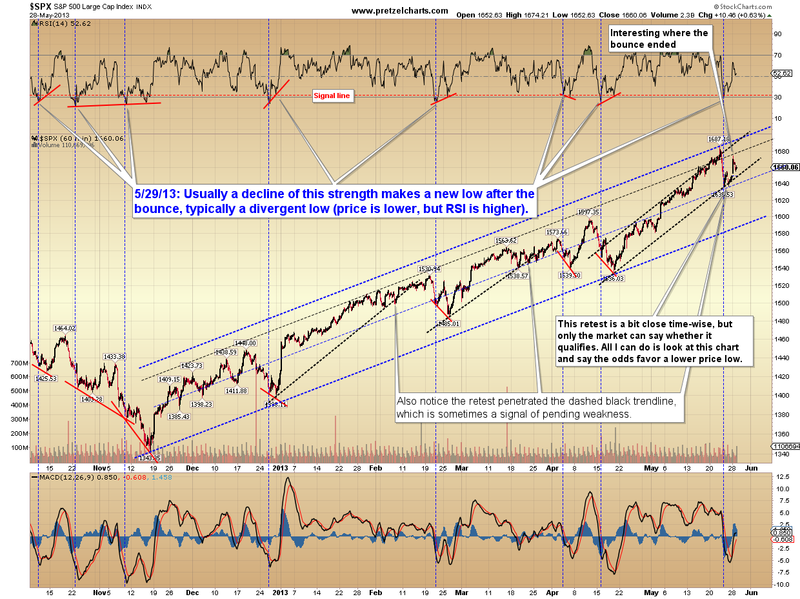 Longer-term, I am still anticipating this is a corrective decline, meaning that new highs will ultimately follow. Trade safe.